In this post we will discuss how we can lookup To address from a SharePoint list while sending emails using SharePoint 2013 designer workflow. If you have put any static email id in the SharePoint designer workflow for sending emails, then any time you need to change the recipients, you must open the workflow in the Workflow Designer and make the changes manually. So it is better to lookup the To or CC field from a list. So first create a SharePoint custom list and the column which will contain the email id can be a Single line of text, Multiple lines of text, or Person or Group type columns. If you use a Person or Group column, only one entry can be made in each field that the workflow will reference for e-mail addresses. When creating the column, be sure to select No under Allow multiple selections. If you want to use this type of column to specify multiple recipients, you can create a SharePoint group that includes the people that you want the workflow to address the e-mail to, and then specify the group in the field. When creating the column, be sure to select People and Groups under Allow selection of. In our case we will create a column which will contain a single user. For user convinient rename the Title column to Workflow Name and other column say WorkflowToId. Then we will add one item to the list Where the Workflow Name="My Test Workflow" and the WorkflowToId=bijay@enjoysharepoint.com and save the item. So the list with the item will look like below. Here Workflow Name is also important because we need to give this value in the designer workflow. Now open you workflow in SharePoint designer 2013 and then click on the To icon to open the Select User dialog box. In the dialog box, click on "Workflow lookup for a User...". This will open the Lookup for Person or Group dialog box. Here in the datasource choose the list name that we made in above, and then Field from source the column name that contains the email id, in our case the column name is "WorkflowToId". Then in the other section, choose Field as the Title column of the new list, in our case we rename it as "Workflow Name" and then in the Value box write the value presented for that column. In our case it is My Test Workflow. After this the email will be send to the To address which is presented in the list. So afterwads if you want to change the To email id, simply change in the list, no need to open the workflow. If you want to add more To address, then you can add additional columns and store and use like above. Sometimes you will not see Site Pages link under Look and Feel in Site Settings. Here we will discuss how we can bring back Site Pages link. Open SharePoint site, from the right side click on Settings icon and then click on Site Settings. Under Site Actions click on "Manage site features". Then in the Site Features page, search for "Wiki Page Home Page" feature and click on Activate. In this post we will discuss how to disable the windows authentication prompt which we usually got while opening a SharePoint site. If you are working in your local system and every time it is asking for user name and password it is better to save the authentication so that it will not ask repeatedly. Open Internet Explorer, then click on Tools -> Internet options. Then in the Internet Options dialog box, Click on "Security" tab. Then click on "Local Intranet" -> Custom level.. This will open the Security Settings - Local Intranet Zone. There scroll down to end you will find "User Authentication" and then Logon. Here choose the radio button "Automatically login with current user name and password". Then restart your IE browser. Now it should not ask you to enter windows credentials details. If you are working in SharePoint online (Office 365) and trying to authenticate sharepoint using SharePointOnlineCredentials, sometimes you may get the error saying msoidcliL.dll file is missing. We have to use SharePointOnlineCredentials object if we are trying to authenticate in Office 365 (SharePoint Online) using ClientContext. Here if you got the above error then first check whether the msoidcliL.dll exists in the directory C:\Program Files\Common Files\Microsoft Shared\Web Server Extensions\15\Client. 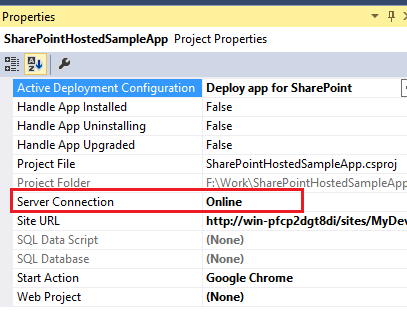 If it is not presented then download the SharePoint Server 2013 Client Components SDK from this MSDN URL and install it.